Arizona has stringent laws concerning dog bites. There are nearly 80,000,000 dogs in the United States, and every day approximately 1000 people are attacked or bitten severely enough to require emergency treatment. Dog bites are a common type of injury. According to the Centers for Disease Control about 4 ½ million dog bites happen every year. Dog bites and dog attacks are painful and frightening. They often leave permanent scars or disabilities and are sometimes even fatal. Over 75% of all fatal dog attacks have been attributed to Rottweilers and Pit Bulls. If you are bitten by a dog in Arizona, the owner of the dog is required to pay for medical care and any other damages that result from the dog bite. The dog owner’s only possible defense against a dog bite claim would be if the dog bite victim provoked the dog. Although that is what the law states, you may need a Mesa dog bite personal injury lawyer to help you recover damages. The state of Arizona holds dog owners liable if their dog bites or attacks anyone. This is the law, regardless of whether the dog was known to bite or whether the owner was negligent. That isn’t the case in every state, in many states if the dog has never bitten anyone before, it can be harder to collect damages from the dog owner. 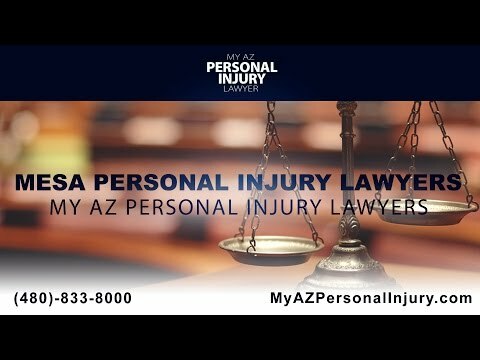 In any case, if you have been bitten by a dog you would be well advised to consult with a Mesa personal injury lawyer. In Arizona, all dog bites are required to be reported to the County Animal Control. In addition, when a dog has bitten someone, the dog is required to be quarantined for 10 days. Immediate notification of Animal Control is an important part of substantiating any dog bite claim. You should also take pictures of the dog and of your injury. Get contact information from any witnesses, and ask emergency room personnel to document exactly how it happened, as this information will be crucial to your claim. If you are attacked by a vicious dog, you should also file a vicious dog petition. Your dog bite injury lawyer can help you collect evidence about the dog’s disposition and any previous bites or attacks. You can also request that the dog be quarantined until the outcome of the hearing. Rabies is the most serious disease that can be contracted from a dog bite. The rabies virus attacks the brain and is almost always fatal. It is contracted from the saliva involved in the bite of an infected animal. It would be uncommon to contract rabies from a dog bite, but that’s why the law is in place that the animal must be confined for 10 days to watch for symptoms of rabies. Tetanus is a dangerous bacterial disease that affects the nervous system. Most people in the US are vaccinated against tetanus, but many people are at risk due to not keeping up with their vaccinations. It is unclear exactly how long the protection from a tetanus vaccination lasts. The most serious cases of tetanus, including those that are fatal, are seen in people who have never been immunized and in the elderly who do not have adequate immunization. A staph infection known as MRSA (methicillin resistant Staphylococcus aureus) is one of the most serious type of staph infections as it is resistant to most antibiotics commonly used to treat staph infections. This difficulty in treating it is what makes it so dangerous. A dog can be a carrier of MRSA without exhibiting any symptoms, while MRSA can cause serious or even fatal infections in humans. Pasteurella is generally not a life threatening bacteria, but it can definitely make you sick with swollen joints and glands. The CDC states that approximately 20% of all dog bites become infected, and if a dog bite becomes infected, Pasteurella bacteria is found more than 50% of the time. If you or a family member has been bitten or attacked by a dog, it would be prudent to talk with a dog bite personal injury lawyer. Our personal injury lawyers have experience in Personal Injury Law, and they understand the physical and emotional distress you are dealing with, along with the stress brought on by costly medical treatment. Nationwide the average amount paid for a dog bite claim was nearly $40,000 last year. The average cost per dog bite claim has risen by 95% since 2003 due to the increased cost of medical care. Call My AZ Lawyers and let us help you obtain just compensation.